The workplace is changing. We can no longer create the same spaces and expect different results. Multi-generations are working together, technology is evolving, and organizations are looking to get the most out of their real estate. 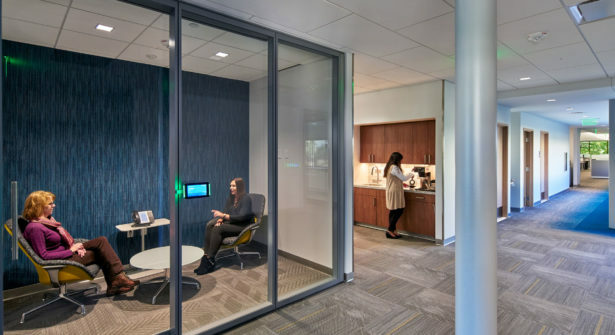 Today’s workplace needs an ecosystem of spaces designed to adapt and evolve over time, optimizing real estate while fostering higher levels of employee engagement. The result is a more engaged and effective workforce that allows the organization to respond to changing business conditions. This is important to consider as 51% of the US workforce is not engaged according to Gallup. 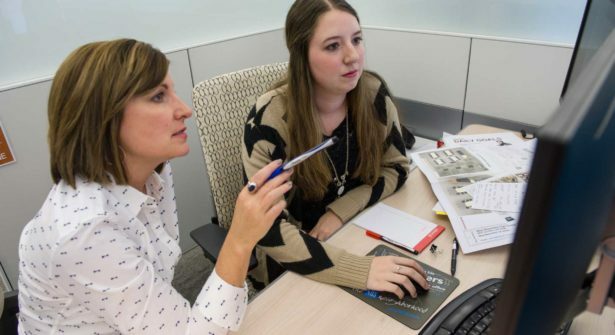 The workplace environment has become an essential part of recruitment, especially for younger generations. 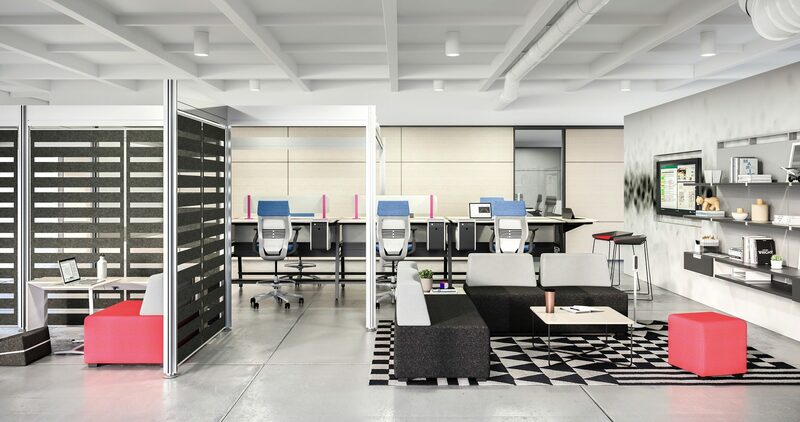 To attract and retain new talent, the workplace needs to connect people, technology and space. 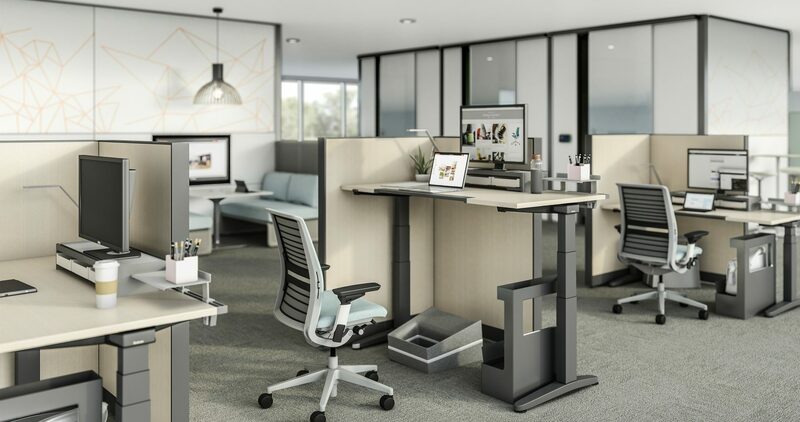 With open plan work environments and an increasing number of mobile workers, it can be a challenge to support every individual’s needs. To solve for this, organizations should consider offering a variety of worksettings within the space. 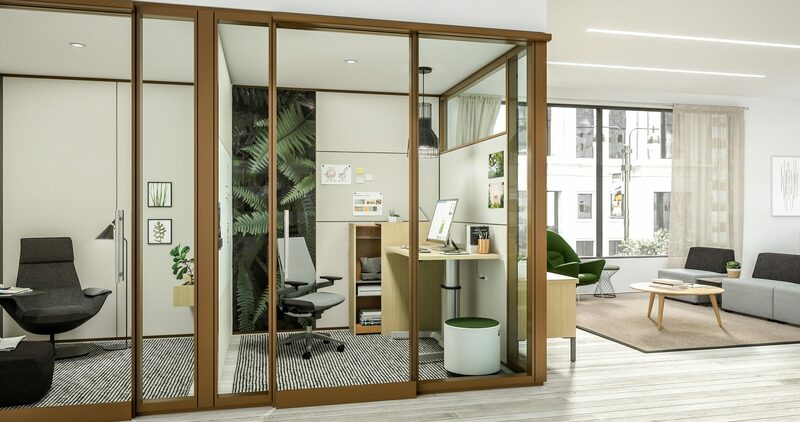 This creates an ecosystem of spaces, and like those found in nature, it can evolve and change to suit the different needs of individuals and groups with a range of work options to choose from. Within these 5 spatial zones, the individual should have the option to tailor the environment to best support their work. 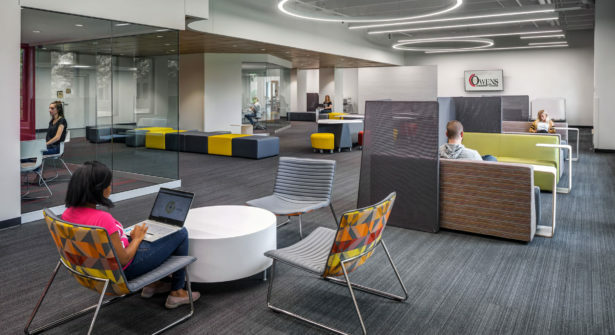 According to Steelcase’s Global Report, 88% of engaged workers have choice and control over where and how they want to work on a given day. The size, ratio and adjacency of each zone should be tailored to match both your business objectives and cultural expectations. The result is an agile workplace that supports change, rather than resist it. 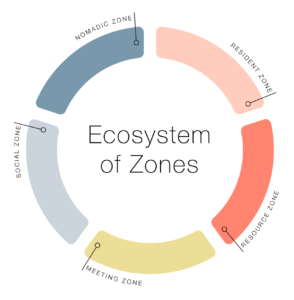 These zones also need to address technology and connectivity, whether you are utilizing technology individually or as a team. Consider offering a variety of tools from whiteboards to displays, conferencing tools and easy access to power. 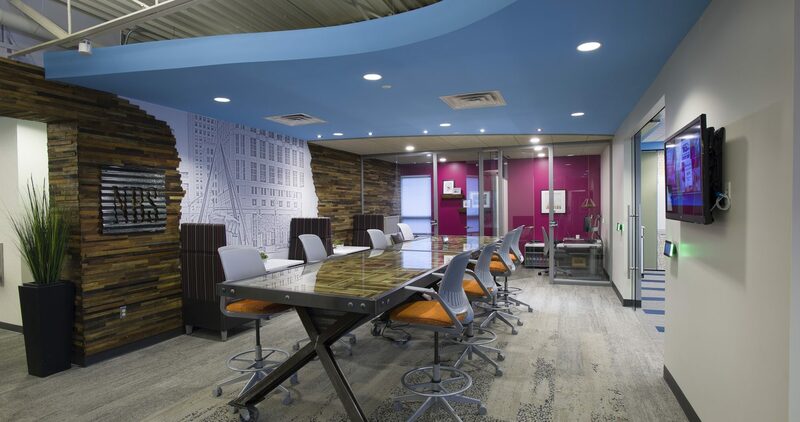 A successful workplace ecosystem is focused on the relationship between people, technology and place. 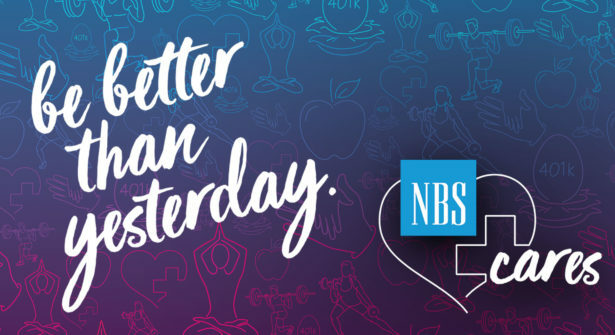 At NBS we use these principles when solving for our client’s workplace needs as well as designing our own showrooms to support all 5 spatial zones.